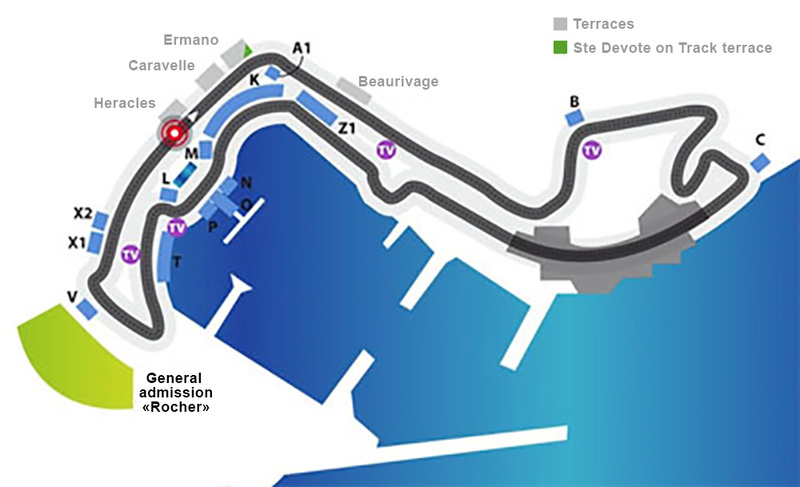 You can assist to the Monaco Grand PrixTM from one of the many grandstands along the circuit. Here is the racetrack map with the different locations of the grandstands. You can have a view of each one from the Monaco Grand Prix TM tickets store. Attend the Monaco GP TM from a terrace or a yacht, discover all the offers and contact us.